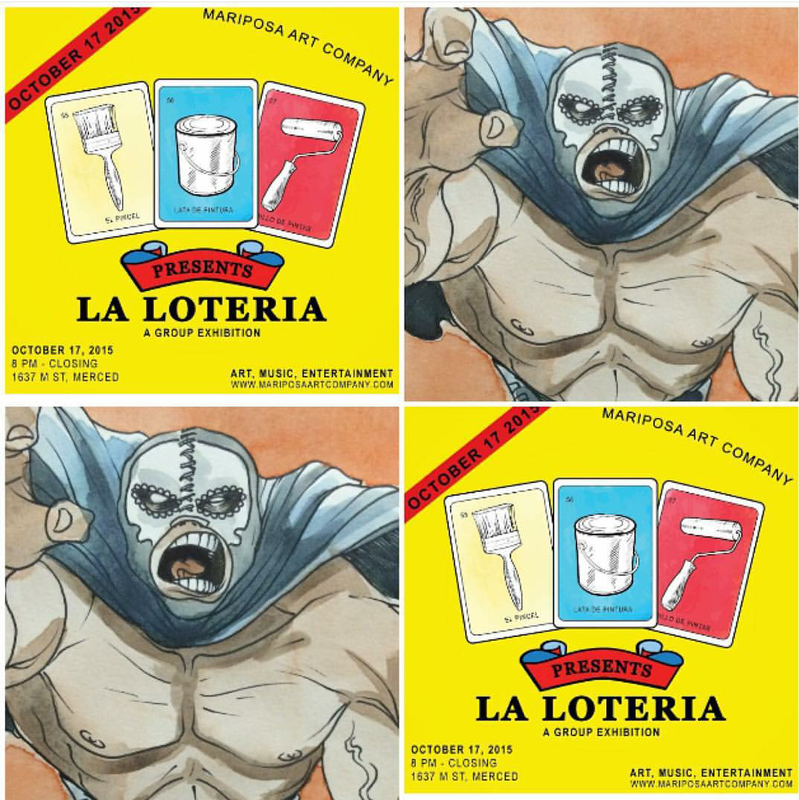 Preview of my Luchador piece for the Loteria artshow at Mariposa Art Company, in collaboration with the cool folks at Wyse Fools. Doors open at 8 p.m. Don’t miss out. This entry was posted in Uncategorized and tagged 559, art, ca, cacillustrations, carlos cisneros, downtown fresno, drawing, Fresno art, Fresno underground art, illustration, luchador, mariposa art company, merced, mexican art, mixed media, painting, street art, watercolor, wrestler, wyse fools. Bookmark the permalink.